KEB&apos;s powerful and cost-effective visualization systems are well-equipped to handle both simple and complex applications. The large number of communication drivers and interfaces ensures an open, communicative, flexible HMI solution for a wide range of controls and drives. In addition, C6 HMI panels offer intelligent memory management with lots of internal memory for storing application-specific data. Requirements for remote maintenance solutions will become more demanding as technology advances. 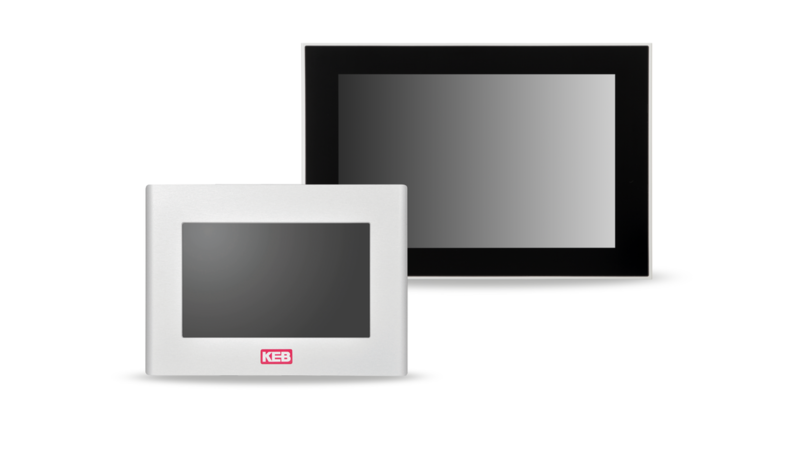 To prepare for the future needs of our users KEB offers software-based remote maintenance incorporated as standard in all C6 HMI and C6 HMI LC. You can find more information on KEB remote maintenance under the Remote Control Solutions link in right sidebar.